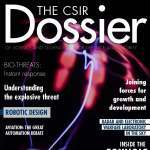 This magazine-style publication focuses on the CSIR’s interventions and innovations in the field of defence and security. It covers topics such as counter poaching, maritime research, electronic defence systems, aerospace and information security. 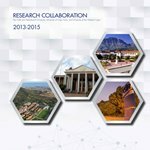 The CSIR has a long history of collaboration with universities. These relationships, which enable us to achieve our respective visions and mandates, have continued to grow over the last three years (2013 - 2015). 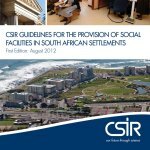 The CSIR has published guidelines for the provision of social facilities in South African settlements. These are for use in the planning and development of social facilities locally in towns, cities and provinces. 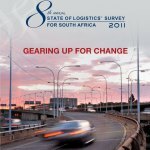 Logistics is fast becoming relevant to all South Africans. In the consumer market, logistics and management is recognised as a core competence of international giants investing in South Africa and as an underlying cause of demestic performance gaps. 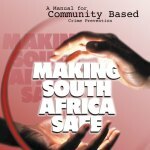 The manual explains what crime prevention is, what is expected in terms of government policy and legislation, and what kinds of structures are needed at the local level to support a sound strategy. 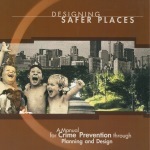 This manual deals with the relationship between crime and the physical environment and contains practical recommendations to assist with the planning, design and management of safer communities. This document provides performance-based guidelines for informed decision-making. 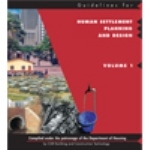 The purpose is essentially to indicate the qualities that should be sought in South African settlements, and to provide practical guidance on how these qualities can be achieved. 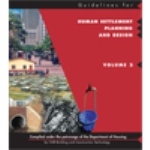 The purpose is essentially to indicate the qualities that should be sought in South African settlements, and to provide practical guidance on how these qualities can be achieved.